Arriving home on Christmas Eve, Commander Gray Pierce discovers his house ransacked, his pregnant lover missing, and his best friend’s wife, Kat, unconscious on the kitchen floor. With no shred of evidence to follow, his one hope to find the woman he loves and his unborn child is Kat, the only witness to what happened. But the injured woman is in a semi-comatose state and cannot speak—until a brilliant neurologist offers a radical approach to "unlock" her mind long enough to ask a few questions. 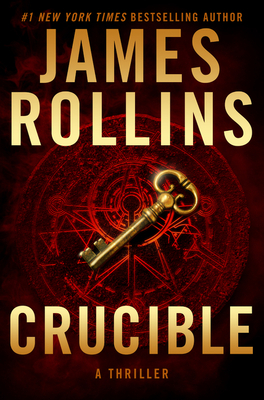 James Rollins is the author of international thrillers that have been translated into more than forty languages. His Sigma series has been lauded as one of the “top crowd pleasers” (New York Times) and one of the "hottest summer reads" (People magazine). In each novel, acclaimed for its originality, Rollins unveils unseen worlds, scientific breakthroughs, and historical secrets—and he does it all at breakneck speed and with stunning insight. He lives in the Sierra Nevada mountains.